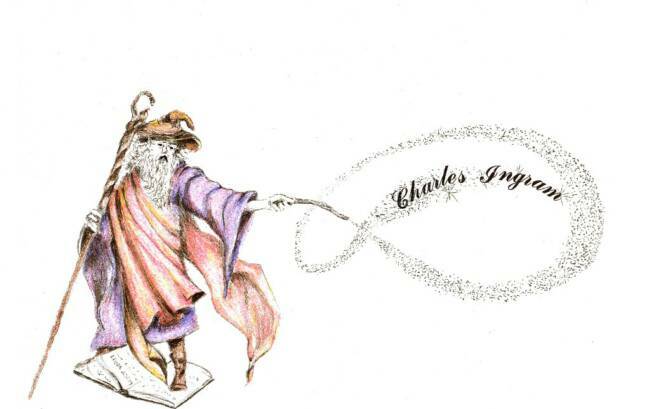 Charles Ingram, (“Old’ Sparkle dust”) as he is known in some circles, has been applying his magical abilities for things of a visual artistic nature since his early childhood. Lifelike pencil drawings of family and friends convinced them of his talent and their encouragement prompted him to continue calling forth these innate abilities. After high school, Charles pursued a career in visual merchandising and advertising, which took him to Houston, Austin, San Antonio and eventually to Washington, D.C. where he was visual merchandising director for a national retail clothing firm headquartered in that area including Baltimore. This experience was rewarding and while teaching him to work with and please others it left lying dormant a vast array of talent in fields unexplored and as yet uncultivated. Home designing, interior design and commercial interior/exterior design was a specialty and especially rewarding for it allowed Charles to work directly with, and meld minds for the first time with those who had a vision for their own future. One memorable project was designing a home on the horse ranch of a noted movie star. In the age of digital photography, Charles is a brush artist, producing some of the most lifelike portraits and scenic murals. His murals are in churches, private homes and commercial establishments and his portraits can speak for themselves (almost). Meeting movie stars and being one of the best at what he does would certainly have to inevitably lead to working in the movies. Charles has worked within the art department on several films in different capacities, such as: senior set designer, special props designer/builder, scenic artist and production designer. The production designer designs the color and “feel” of the movie and oversees the production of all sets, including wardrobe. Charles says, “ A magic wand without sparkle dust or the wizard to wield it is just another stick.” Loving the metaphor, but never straying from the truth, he also says, “ Everyone has the innate desire to create; but not everyone has the required skills or the developed talents for things artistic, so in lacking “sparkle dust”, their inner vision remains just another dream”. ".......BUT FOR SPARKLE DUST.......A MAGIC WAND IS JUST ANOTHER STICK"